Our Europa Showfreight team has forged a new partnership with the leading German transport and logistics company, Cretschmar MesseCargo, to strengthen its offering in the country. We will now be the UK partner of Cretschmar Cargo, based in Dusseldorf, for exhibition logistics. Our companies have a combined total of more than 150 years’ experience in the industry and will work together on specific exhibitions across Germany. Some of the upcoming events we will be working on next year include: GIFA, the world’s leading trade fair for casting technology in Dusseldorf; Fruit Logistica, a fresh produce trade show in Berlin; IFFA, the leading international trade fair for the meat industry in Frankfurt; and FachPack, the European trade fair for packaging processing and technology in Nuremberg. Our Europa Showfreight team recently travelled to Germany to meet with Cretschmar Cargo, including a visit to the two major trade fair venues, Koelnmesse and Messe Düsseldorf. We will work together to combine the many elements of exhibition freight logistics into a mutual service package, providing a unique quality management program for international exhibition freight logistics. 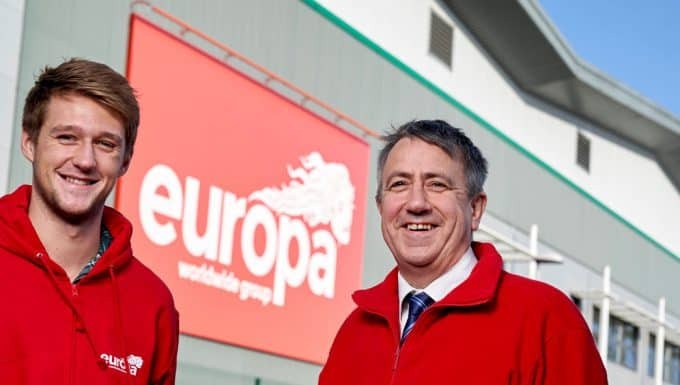 Achim Lotzwick, General Manager of Cretschmar MesseCargo, said “We are excited to be forging this partnership with Europa Showfreight, who have a proven track record of professionalism and excellency in our industry. We are delighted to have been selected by them, meeting their highly profiled standards of quality. We will be fully committed to their vow of prime services for exhibitors from the UK, and will support our agent and their customers any which way we can.”This year, Europa Showfreight has won a number of high-profile contracts to manage logistics at shows and exhibitions all over the world, including: The Elite London; ExpoElectronica in Moscow; Toy Fair in New York; Routes Asia in Brisbane; Glassman Latin America in Mexico; and COTTM in Beijing. In July, Jeff was elected to the Board of Management of The International Exhibition Logistics Association (IELA).